"The exhibition amply illustrates how Jones transcended his sport and became an American hero at a time when the nation most needed one," said Fair Play curator Dr. Catherine Lewis, a professor at Kennesaw State University, noted Jones scholar, and long-time Atlanta History Center guest curator. "His strength of character , athletic skill, and personal accomplishments inspire us today. 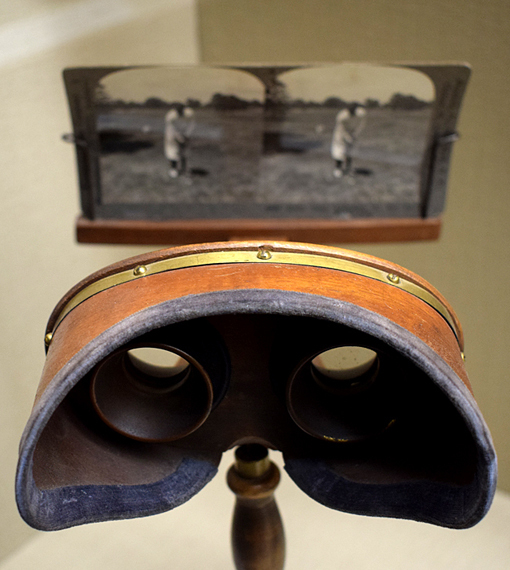 One of of the most compelling features of the new exhibition is a section that ponders why Bobby Jones matters." A renewed exhibition about one of the world's most accomplished persons in the sport of golf, Fair Play: The Bobby Jones Story focuses on the character and achievement of the man considered the most important golfer in the history of the sport, Georgia's own Robert Tyre "Bobby" Jones. 1457: In the earliest reference to golf, King James II of Scotland bans golf and football because they interfere with military training. 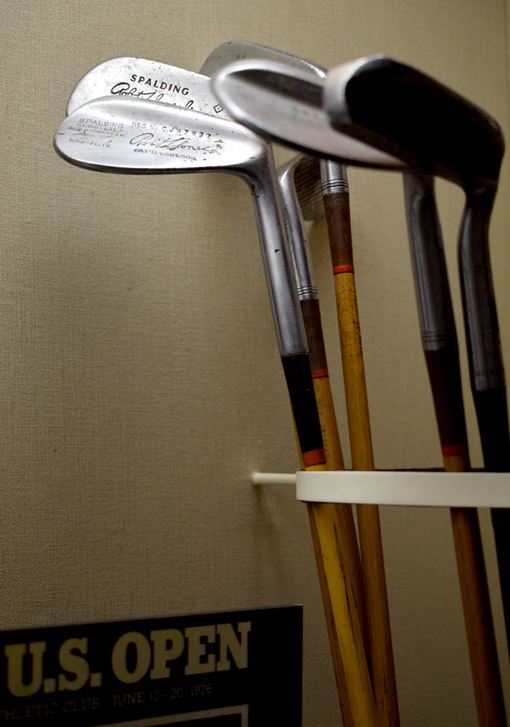 As the History Center's only exhibition focused on a single person, Fair Play: The Bobby Jones Story features a host of new artifacts, including a rare prgoram from the inaugural Augusta National Invitational—today known as the Masters—in 1934; a personal letter from Jones to two-time Masters winner Ben Hogan; and four first edition books authored by Jones. 1902: On March 17, 1902, Robert Tyre "Bobby" Jones, Jr. is born to attorney Robert Purmedus Jones, called "Colonel", and Clara Merrick Thomas Jones. At the height of his career, Bobby Jones retired from the sport to devote time to his family, career, and his native city of Atlanta. 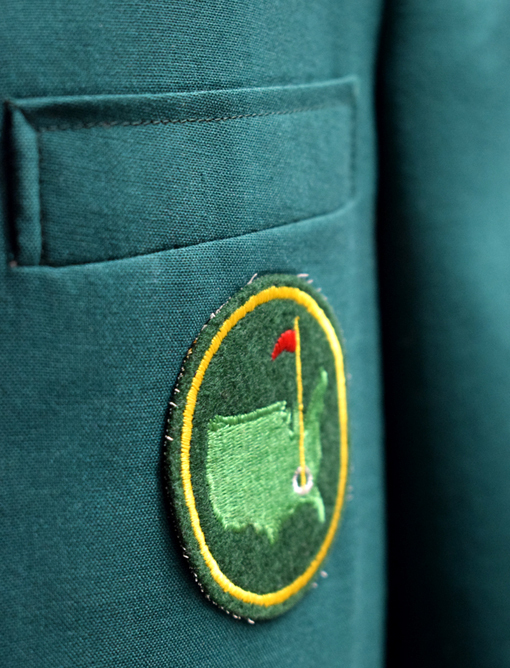 Afterward, he became golf's beloved ambassador and helped found the August National Golf Club and the Masters Tournament, today the sport's premier tournament. 1916: Bobby Jones wins Georgia State Amateur Championship at age 14 and competes in the U.S. Amateur as the youngest competitor that year. Jone's remarkable journey is perfectly encapsulated by an enlarged 1971 quote by sportswriter O.B. Keeler on the entrane to the Imlay Gallery exhibit: "Bobby Jones has more character than any champion in our history." 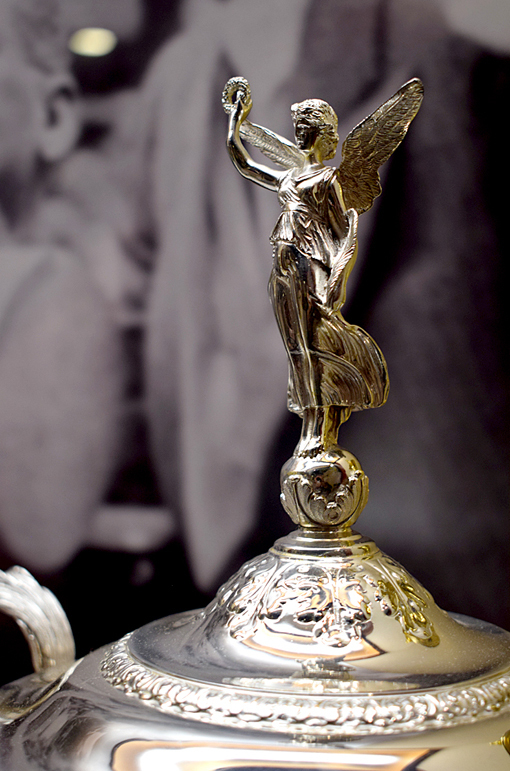 1930: Bobby Jones become the first and only golfer to win what O.B. Keeler the "Grand Slam" — British Amateur, British Open, U.S. Open, and U.S. Amateur. Two months later, Jones retires from competitive golf. 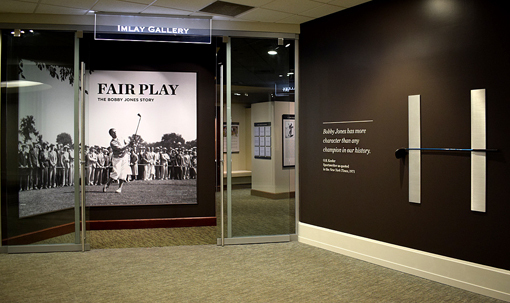 I wrote about Bobby Jones a few years ago; about a number of places you can visit to celebrate his life, but the "Fair Play" exhibition at the Atlanta History Center is THE place to start. 1971: On December 17, 1971, Bobby Jones died and is buried in Atlanta's Oakland Cemetery. His plot is a "putting green" and many visitors leave golf balls at his final resting place. While the photographs in this post are my own, the majority of the copy is courtesy of the Atlanta History Center. If you're a golfer, a fan, or merely an enthusiast like myself, I highly recommend this magnificently presented exhibition.